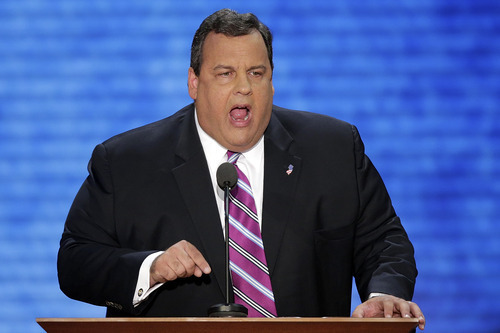 Politics • Obama is 'irrelevant,' Christie tells Utah delegates. 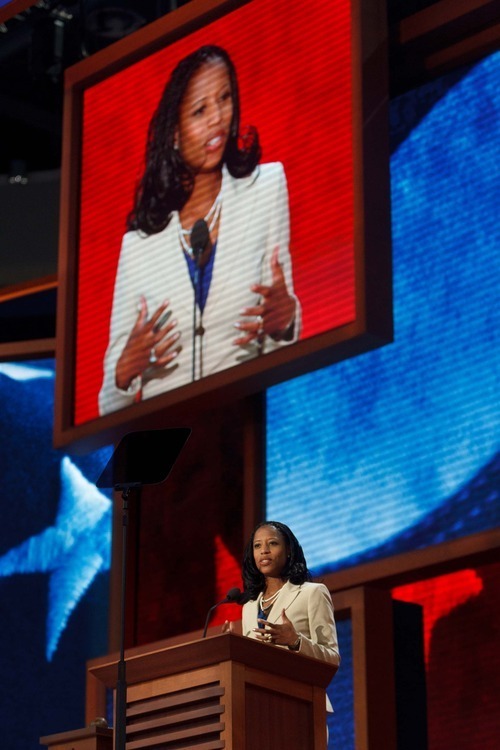 Tampa, Fla. • The day after her big speech at the Republican National Convention, Mia Love was juggling interviews with national news outlets while money poured into her campaign. "I told her, 'When you're done, fasten your seat belt and put on your chinstrap,'" he said. Her short time in the national spotlight  her speech ran just four minutes  has helped her raise more than $155,000 for her bid to oust Rep. Jim Matheson, a six-term Democratic congressman. President who? • New Jersey Gov. Chris Christie, the keynote speaker of the Republican National Convention, called Barack Obama "inconsequential" as president and told Utah delegates he was won over by Mitt Romney's heart. Christie spoke for nearly 30 minutes Wednesday to the Beehive State's delegation, drawing enthusiastic applause and roars of laughter during the meeting that was closed to reporters. The governor said he made a conscious decision not to "absolutely tear the hide off the president" and opted instead to focus on the ideas of the two parties. "You'll notice last night that I didn't say his name once. I did that for a specific reason: Because I believe he is irrelevant," Christie said in a recording of the event. "And he's irrelevant because he made himself irrelevant. "I've never met a more inconsequential president in terms of moving and shaping debate in our country, shaping the legislative process," he added. "He allows Congress to run the show. I've never seen a president like that who has so abdicated his responsibility to be a national leader." Before he was elected governor, Christie said, Democrats had controlled the state for a decade and New Jersey saw zero job growth, 115 increases in taxes and fees and was losing businesses to neighboring states. Christie said he enjoyed his role making the case against Obama, and "I know he was watching, because he's the thinnest-skinned politician in America." Christie concluded by encouraging Utahns  who are in a safe Romney state like those in New Jersey are in a safe Obama state  to reach out to friends in battleground states and make sure they are supporting Romney, too. The brunch was arranged by Utah Gov. Gary Herbert well in advance of Christie being selected as the keynote speaker. Herbert will also host Christie at his annual fundraising gala next month.